Farid Sufian Shuaib obtained his LLB (Hons) from the International Islamic University Malaysia (IIUM) and was immediately offered a teaching post at the Kulliyyah of Laws, IIUM in 1993. 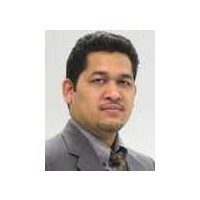 He completed his LLM from Queen Mary, University of London and obtained his PhD in Law from IIUM. He received and completed research grants on administration of Islamic law, media law and constitutional law. He published widely in Malaysian and international journals. Among his books are Administration of Islamic Law in Malaysia: Text and Material, Powers and Jurisdiction of Syariah Courts in Malaysia and Con ... show more stitutional Law of Malaysia: Case and Commentary published by LexisNexis and Pearson respectively. He has been invited to visit and to deliver seminars in universities in England, Turkey and Indonesia. His writings are referred to in the judgments of superior courts in Malaysia. He was a Visiting Scholar at Queen Mary, University of London (QMUL) between February and March 2016. He was awarded the Quality Research Award in 2005 by IIUM and received Hadiah Karya Kencana under the Science Social Category from the Dewan Bahasa and Pustaka in 2011. 02 Mei 2005 Quality Award. Quality Research Award, Kulliyyah Level - University level. 02 Mei 2005 Quality Award. Quality Research Award, University Level - University level. 16 Mac 2002 Quality Research Award (Kulliyyah). International Islamic University Malaysia - Kulliyyah level. 2018 The relevance of the tradition in the Malaysian constitution. In: Visiting Lecturer "The Relevance of the Traditions in Malaysian Constitution"